I like the masks man, can’t see the video for some reason, I just get audio, which is kinda hilarious all by itself. 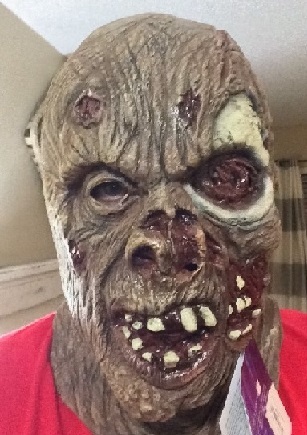 Best mask ever. 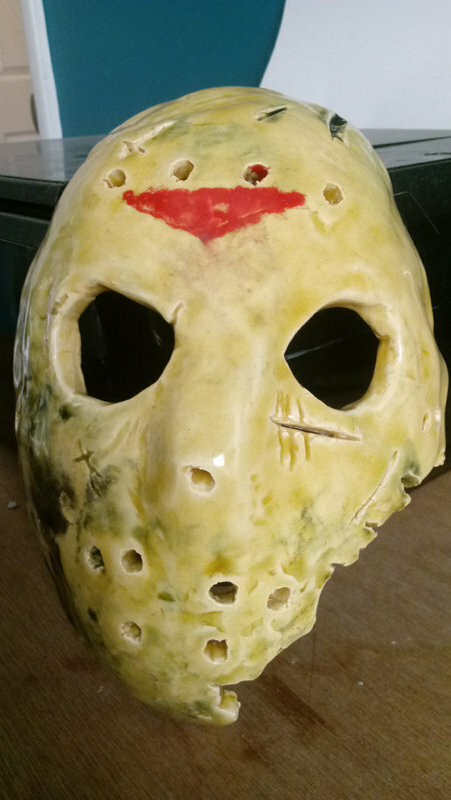 Recent birthday gift from one of my boys, hand made, one of a kind. I also got a Venom face which came broken in half, I'll still keep it. here's a cheesy video me and my dad made today. My house is insanely messy and it stresses me out that I couldn't hide that fact. Hey!! 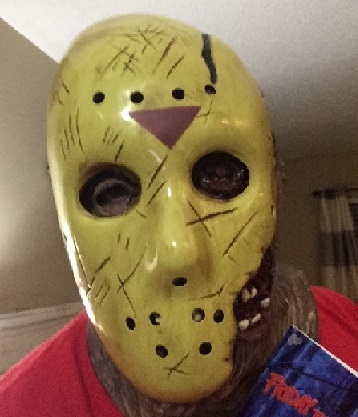 I dig the mask, dude!!!!!!!! Great masks !! And hood I love part 8s look! Many pretty pennies. Lol But so worth it! I paid about 450 for the hood. 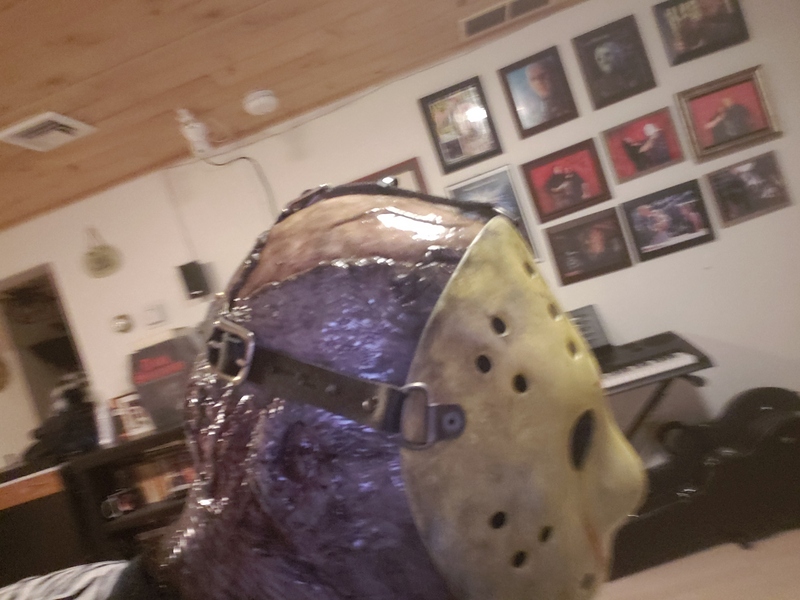 Picked up a part 7 Jason Mask from a local Halloween shop. 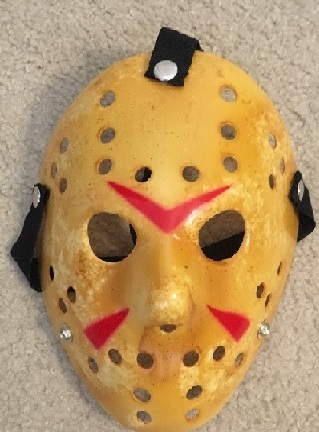 Going to get rid of the cheap plastic hockey mask and use one I got off Amazon to go with it. 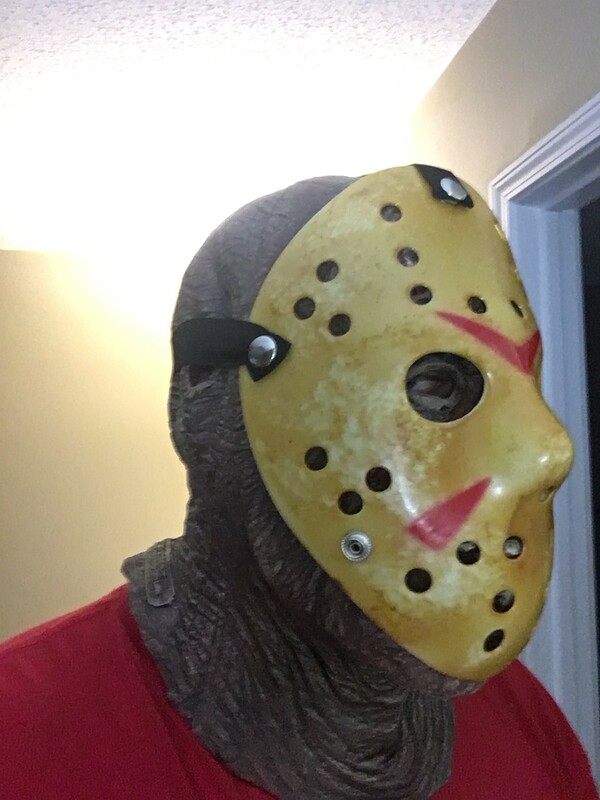 The actual over the head mask is awesome, was really surprised at the detail. I just have the three there. 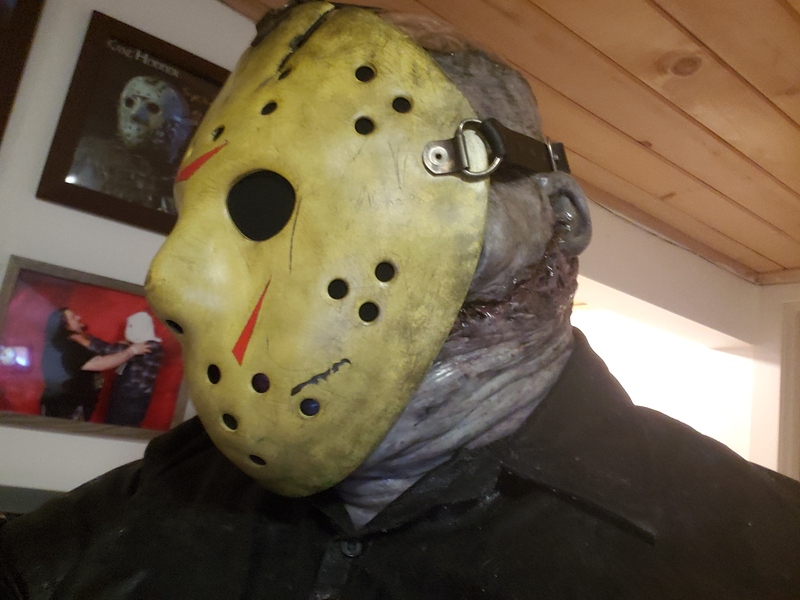 My Jason cowl actually has my graduation cap on top of it now. I've nicknamed it the "PHD in Murder" bust. I may actually advertise it as such and put it up like that on Ebay eventually. 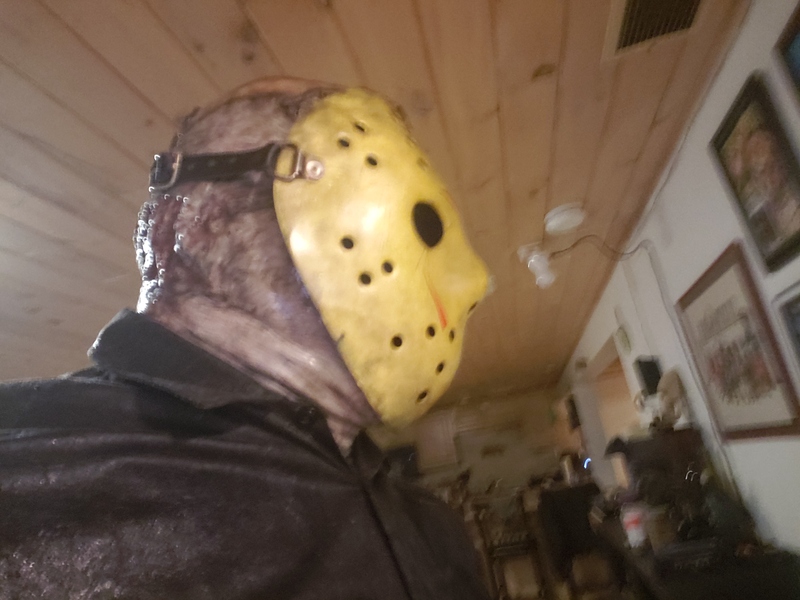 Wouldn't be a bad deal, you'd get a cheap mask you could customize, a nice hood, and a cap and gown (the gown is what I keep stuffed inside it).